Hi! 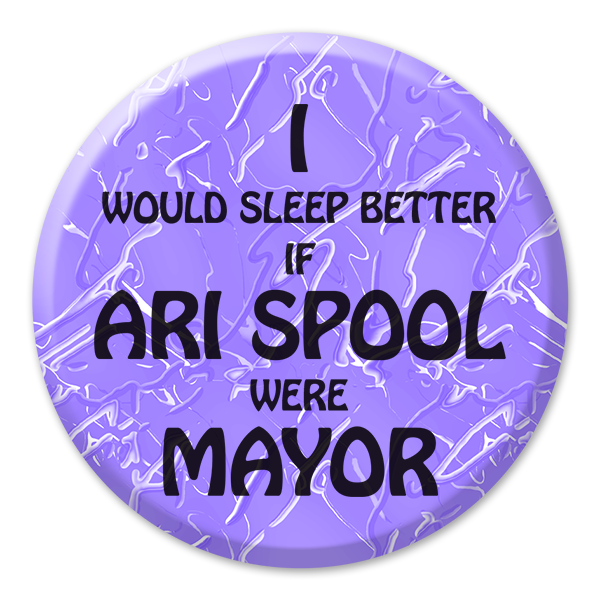 My name is Ari Spool and I am running for Mayor of New York City. I believe New York could be a better city than it is now if the Mayor were a person who came from the general public, as opposed to the closed world of Lizard Kings, aka the anointed political aristocracy. Those guys want to draw up plans for New York where every multi-national corporation gets to own its own neighborhood. I want a New York City where people get to live their dream, whether that be prancing down the street in your favorite dog costume with your dog dressed up like a human, or coating the statue of Seward in Madison Square Park in ice cream and then licking it off. I am happy to make many more campaign promises: if you have any questions about my platform feel free to tweet me @arispool. If you would like to help with my campaign, send me an email!